Gone are the days when companies used to make their marketing decisions based on assumptions. In today’s digitally disrupted world, Facebook, Apple, Amazon, Netflix, and Google (FAANG) have emerged as strong competitors in the market and are creating challenges for other companies all over the world. One of the main reasons of FAANG’s success is their data-driven product/service offering. Facebook has a vast data about their users such as demographics, interests, habits, likes etc. which has made the site a preferred advertising channel of marketers. Amazon and Netflix also leverage user data to make personalized recommendations to their consumers which is vastly increasing the popularity of their services. With Google Analytics and Ads, Google collects the user data and leverage it to provide a robust advertising platform to companies where they can sell exactly what their prospects are looking for. With these new methods of delivering ads and content to users, companies are bound to take data-driven advertising decisions that are based on users’ behavior, interest, buying intentions etc. Companies need to have the right approach to data analysis to gain insights into the consumer’s behavior, target ads around customers’ journey, optimize conversion funnels, and make optimal use of the advertising budget. Customer interactions with brands may result in an abundant amount of digital data. However, it is important to extract the right elements and combine them correctly for generating actionable insights. In today’s digitally disruptive world, companies need to embrace an effective data strategy that allows them to deeply understand their audiences and apply those insights to marketing and advertising. 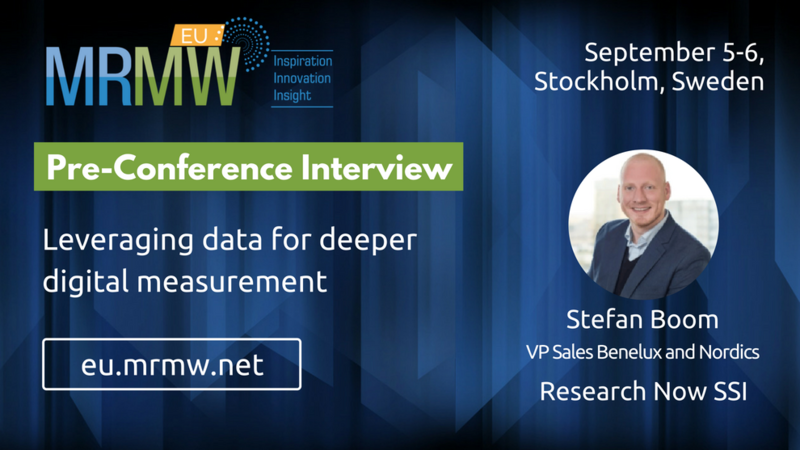 If you are interested in learning about the innovative ways of using data to better understand audience behavior and get accurate advertising measurement, then don’t miss our upcoming MRMW conference which will be taking place on Sep 4-6 in Stockholm, Sweden. Stefan Boom, VP Sales Benelux and Nordics at Research Now SSI will be revealing how companies can use data smarter digital ad investments with greater ROI. He will also be discussing the evolution of use of data in the digital era. Stefan: Data has been described as the new oil; it will help drive the economy of tomorrow. The Research Now SSI talk will explain the opportunities for data to help provide deeper and more accurate consumer insights for advertising, helping to optimize campaigns in-flight and realize true ROI against key KPIs. Stefan: The media landscape has witnessed dramatic change over the last few years, a trend that isn’t slowing down. There is a dilemma of where to spend budgets and whether spending should be shifting from traditional channels, such as TV and radio, to digital, as consumer behavior changes. To justify any move, it is vital to be able to accurately report on which channels are most effective and providing the best ROI. The industry needs more real-time insight and new non-legacy approaches. Research Now SSI wants to demonstrate to the delegates the innovative new ways of using data to drive better business results, better understand audience behavior and more accurate advertising measurement, ultimately leading to better business decisions. Stefan: MRMW is a key event in the Market Research calendar and the theme of this year’s European conference is closely aligned with the work Research Now SSI has been doing recently to help our clients get ahead of the digital disruption sweeping across our industry, to gain meaningful consumer insights which will help them drive their strategies. Stefan: In an increasingly complex media world, the way content is consumed and the interactions we have with consumers continues to proliferate, with the majority of consumers now completely device and channel agnostic. This means the way we gather insights needs to change, to keep up with new trends and to connect the dots between different media and devices. MRMW EU provides a forum to discuss the state of the market and to learn from each other about how to meet these new challenges. Stefan: Researchers and content creators must embrace new technologies and look to optimize their data (whether first-party, primary research or third-party data). Ultimately, when data is optimized it is possible to have a 360-degree view of how customers and non-customers are interacting with a brand and how campaigns are performing, from reach and awareness to impact and ROI. 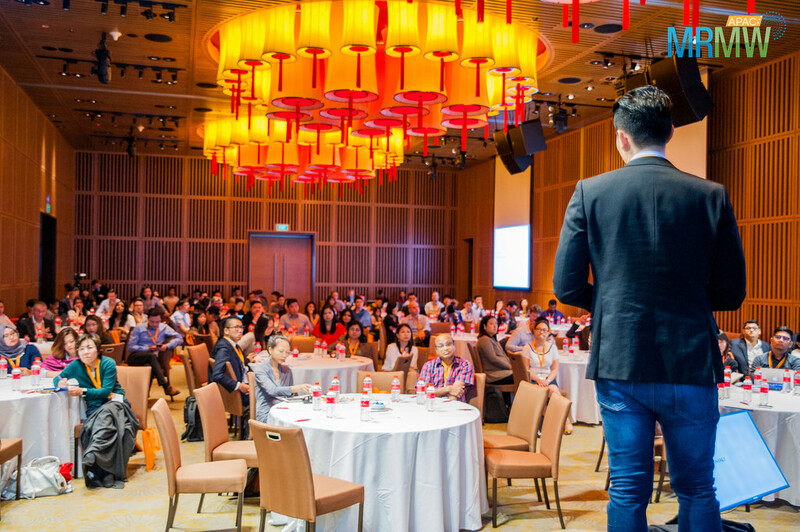 This year, MRMW has brought in speakers from leading brands and innovators like Philips, Ericsson, HelloFresh, PepsiCo, IBM, Bosch, Dow Jones, Ferrero, Imperial Brands and many more to ensure you are getting the most up-to-date case studies and latest methodologies to use in times of digital disruption. So, what are you waiting for? Register today!